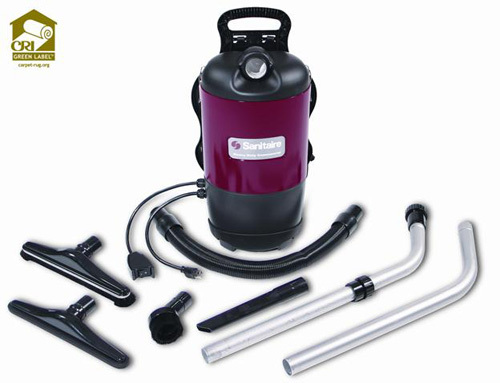 Ideal for hard-to-reach places, the backpack vacuum is all about versatility. This CRI Green Label certified model is well-equipped with a wide assortment of attachments for carpet and bare floor cleaning. Dust Capacity 6. 0 dry qts.